The other day I read an article by Dave Isay in the Boston Globe entitled "Taking The Time To Listen." He is the founder of StoryCorps, which facilitates interviews between loved ones and has evolved into the largest oral history project ever undertaken. To this end he declared the day after Thanksgiving to be the inaugural National Day of Listening. He's asked Americans to set aside time, after turkey day, to do an interview with someone they care about. He says, "Look your loved one in the eye. Just turn off your Blackberry and maybe don't shop for an hour." This is one of the questions he was asked, "What is the value of telling stories?" StoryCorps is about listening, and the act of listening honors another person. In difficult times people start to feel desparate and it's good to remind people that they matter. This article got me thinking about "Listening" on many levels. I remember when Steve was in college he had an assignment to interview a close family member. He chose to interview my father. Steve spent an afternoon asking his grandfather many questions, and my father who was not a big talker, spoke at length about important events in his life that I never knew about. He never told me!! At the end of the interview my father said to Steve, "you listen." Have you had this experience - when you are with a group of people, trying to make a point, someone cuts you off, you have more to say but they can't wait to add their two cents so you don't have the chance to complete your thought! Or, you still have something more you want to add to the conversation and they change the subject!! Apparently they don't realize what they are doing or just don't care. Maybe these people are alone a lot and when they get someone who listens, they just don't let go. Finally, Blogging is important to me because I get to complete my thought, no one interrupts me and I get feedback. The last few months I have been glued to CNN. Now that the election for president is over I have begun to look for some good scheduled programs. The good movies like "My Cousin Vinny", "My Big Fat Greek Wedding" and "Mystic River" have been on many times. When "Monk" was on I would make a point of watching it but even that show has lost some appeal for me. A few years ago when "Raymond" and "Seinfeld" were on I'd make it my business to watch. Even now I tune in to catch repeats. Even though I've seen them a number of times , they still make me laugh. Now the only "must see TV" is "Mad Men." The actors are great, the story line is terrific and the time period is portrayed just as I remember it. The other show that I enjoy is "Who Wants To Be a Millionaire." hosted by Meredith Vieira. (on at 12:30pm EST) If I'm home at that time I plan my lunch around that show. I play the game with the contestant and get a kick out of it when I know the answer and they don't!! I feel bad when they answer incorrectly and am elated when they win a bundle. That leads me to what inspired me to make this post. The other day I read a movie review of "Slumdog Millionaire." I'll keep this simple: Cancel whatever you're doing tonight and go see "Slumdog Millionaire" instead. Yes, you, the girl obsessed with "Twilight" and the guy still hung up on "The Dark Knight." Take the grandparents, too, and the teenagers. Everyone can play. You've never heard of the actors. A third of the film is in Hindi. Much of it takes place in the most fetid, poverty-ridden corners of the Indian subcontinent, and most of it isn't nice. Yet this sprawling, madly romantic fairy-tale epic is the kind of deep-dish audience-rouser we've long given up hoping for from Hollywood. "Slumdog" is a soaring return to form for director Danny Boyle ("Trainspotting"), but mostly it's just a miracle of mainstream pop moviemaking - the sort of thing modern filmmakers aren't supposed to make anymore. Except they just did. A contestant on India's version of "Who Wants To Be a Millionaire revisits his past while exploring the game's questions. Usually after I see a movie I review it, this time I write about it before I see it. As soon as it plays locally, I'm going!! Since the holiday season is fast approaching it got me thinking about the time that I was an Avon representative. I started selling in the mid 60's. 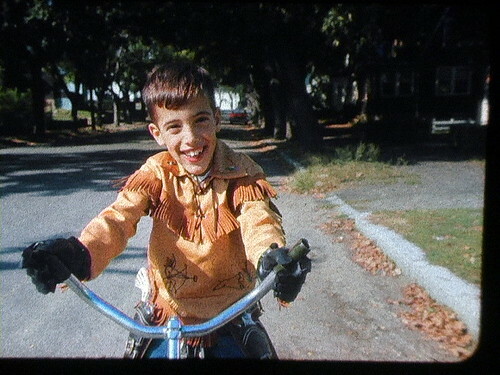 At that time Steve was in grade school and came home for lunch every day. I was a stay-at-home mom and was ready for something more than being a mom and a wife. A job would be the answer but I had two problems - I didn't drive and had to be home noon time. A friend of mine sold Avon, introduced me to the product, I liked it and found out that a territory was available in my own neighborhood. Great, I didn't need a car and could be home for lunch. 1. After you ring ten doorbells - the eleventh person will buy. 3. Never make a delivery without getting paid. 4. When calling on a potential customer, have a product in your hand "to show"
After a while I had a number of steady customers, lots of stay-at-home moms who liked the product and were glad to have someone to liven up their day. Even so, I was always looking for new customers. On one occasion I rang the doorbell of a neighbor, introduced myself and told her that I was an Avon Lady. "Oh", she said " I don't like to buy this way, I don't use makeup and am not interested" She made no bones about it, she wasn't neighborly and didn't want anything to do with me! Well, that was the time for me to pull out #4 - At that time Avon was featuring a "Solid Gold Cadillac" that contained men's cologne. SHE LOVED IT!! That was the start of a beautiful relationship with my neighbor and she turned out to be a great customer. I recently saw an Avon brochure, they now sell everything but the kitchen sink! Two of my all time favorites are still available - Avon's Rich Moisture cream and Vita Moist cream, I use them every day. I recently agreed to try out a product that is called Step N Shine. Step N Shine is a bedside mat that illuminates a soft glow path in the bedroom to allow the user to safely navigate in the dark - providing the ideal solution to fall prevention in the home. I tried it and found that by simply stepping on the Step N Shine bedside mat when getting out of bed, Step N Shine lights up and activates all additional wireless Step N Shine lights creating an illuminted path to safely walk to the bathroom. Just what I need. "Open battery compartment door of the rug light with a Phillips screwdriver and insert 3 ALKALINE batteries"
Well, when I did that I was happy to find the batteries were already in there. I could try it out right away! I've already told a few friends about how happy I am with Step N Shine and they can't wait to try it. Before I go South for the winter I make appointments to see ALL my doctors up North, I want to get a clean bill of health so I can go knowing that I've done my part and that I'm a-ok. In August I called to set up an appointment with my dermetologist, the earliest appointment they could give me was October 30 at 3:30 pm. I didn't like waiting that long and didn't like 3:30. I took the appointment and as time went by I called several times to see if they had a cancellation. No, nothing doing, I couldn't get anything earlier. The day finally came - I arrived at the office at 3:15pm. I was called into the examining room at 4:00pm. That was ok with me since I realize that at that time of day the doctor can get backed up. 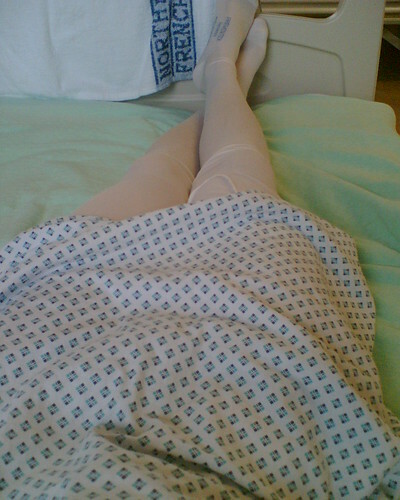 The nurse asked me to undress and gave me "this flimsy paper robe." Ok - I'm a patient person and settled in to wait for "his" arrival. After about 15 minutes I started to feel cold, the air was running full blast! Well, I thought to myself, "can't be to long before the doctor shows up." After another 15 minutes I got really cold so I took the jacket that I had worn to the office and put it over my shoulders. At that point the nurse came in to tell me that the doctor would be in shortly. He did not show up shortly!! Here I am in a paper thin robe and freezing, I opened the door and stuck my head out. The nurse saw me and asked if I wanted a blanket!! YES, YES. Again she reassured me that "he" would be in shortly and would I like the air conditioner turned off!! YES, YES. "He" finally came into the examining room at 5:05 pm, no explanation and no apology. It took him less than 15 minutes to do what had to be done and in parting said, "see you in six months." The whole time I was waiting for him to show up I was thinking of my options, I could get dressed and leave the office but the nurse kept telling me he was going to see me shortly. I had waited so long for the appointment, I wanted to be seen. I was stuck. One thing, for sure, I'm never going to see "him" again. What would you do in similar circumstances?